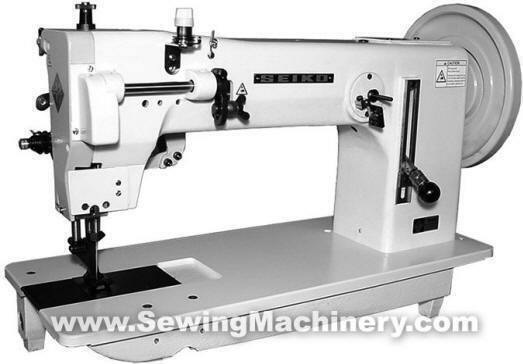 Seiko TH-8B extra heavy duty single needle lockstitch flatbed industrial sewing machine with extra large capacity shuttle hook, for use with heavy weight materials & thick sewing threads. 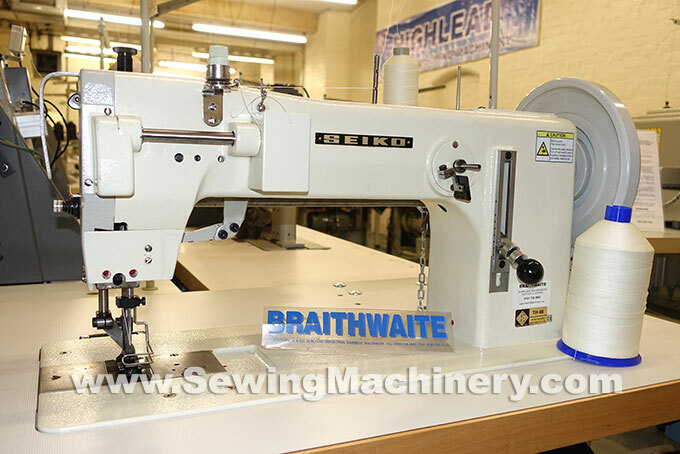 Suitable for sewing heavy weight materials including canvas, plastics, leather, webbing and technical textiles etc. Features a longer arm with up-to 400mm clearance to the right of needle and a high foot lift clearance of up-to 25mm. The TH-8B model is equipped with the triple feeding action of walking foot (alternating pressers), needle feed (compound feed) and bottom feed. TH-2B: Drop feed & alternating presser feed. TH-7B: Bottom feed & needle feed. 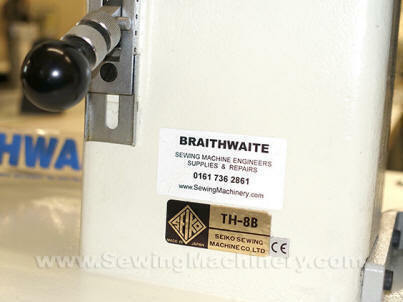 Request more information on this machine HERE or give us a ring.